Marian and I had visited Coffee Pot Cellars in August and promised to tell you about it. Well, we visited again yesterday, so here is the skinny on a young winery full of excitement and verve. In fact, this is Coffee Pot’s first season, and it is doing great. Starting off the busy summer season with a great review from Howard Goldberg of the NY Times didn’t hurt. Tasting room manager Laura Klahre will greet you with a big smile as you enter the bright and cheerful space. Laura and fiance Adam Suprenant, the Coffee Pot Cellars founder and vintner, have created a great atmosphere for tasting Adam’s wines, and learning about Laura’s bees. Adam is also the winemaker for Osprey’s Dominion, while Laura is a beekeeper, and proprietress of Blossom Meadow, an artisanal producer of North Fork honey and beeswax products. So, let’s talk wine, then honey. On our first visit we tasted all four of the Coffee Pot Cellars offerings, The delicious 2011 Chardonnay for $16 a bottle, a crisp 2010 Sauvignon Blanc priced at $18, their 2008 North Fork Merlot that came home with us, $18, and the 2008 Meritage, $22. Adam buys his grapes from several North Fork producers. The Merlot is a single vineyard product, with grapes supplied by Sam McCullough in Aquebogue. We loved it with smoked sausages. This time, we selected a bottle of the Chard to go with our picnic lunch, which we enjoyed in the picnic area behind the tasting room. Lunch consisted of pate and brie sandwiches, potato salad, and pasta salad. 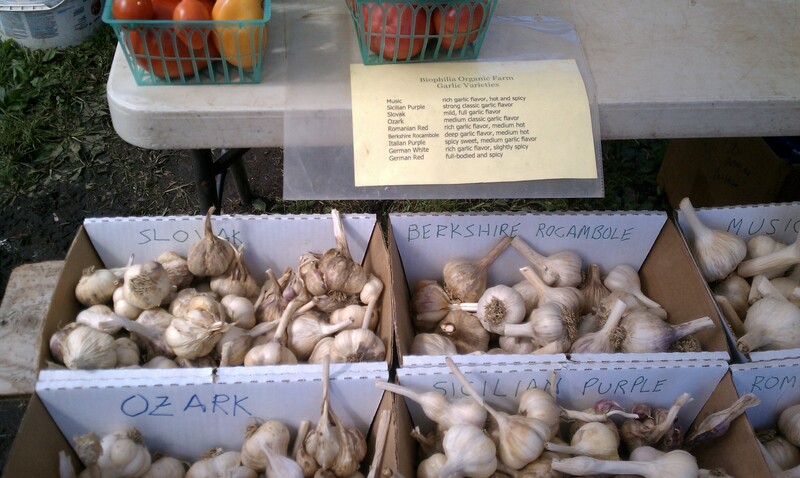 Oh yes, and some sour pickles we picked up earlier in the day at the North Fork Garlic Festival. This Chard is is food-friendly, balancing acid and the creaminess of some oak. It worked great with rich pate and the pickles! We think it is priced right for enjoying any time. So our take on Adam’s delicious work is “two corks up”. Long ago, Laura fell in love with bees and honey-making. Now a beekeeper with 100 hives in operation, Laura manages her 8 million “girls” with a focus on honey production, rather than on crop pollination. Yes, only female honey bees make honey. You will find an observation hive in the tasting room. No worries, you can look but not touch these busy bees. In Laura’s Bees 101, we learned how the bees build their honeycombs, fill them with nectar, reduce the nectar moisture creating honey, and then seal it in the comb. Those hardworking bees will range up to 3 miles from their hives in a search for pollen and nectar, and it takes the nectar from millions of flowers to make just a little bit of honey. Despite the relentless work of a honeybee, in her lifetime she will only produce 1/8 teaspoon of honey. If this doesn’t make you appreciate Laura’s delicious honey, tasting it will. For $9.00 you can take home a jar and see for yourself. Laura told us that honey production is seasonal, so the flowers of summer will produce a honey that is different than the flowers of spring or fall. We purchased one of the last jars of this summer’s honey. Fall honey production begins shortly. 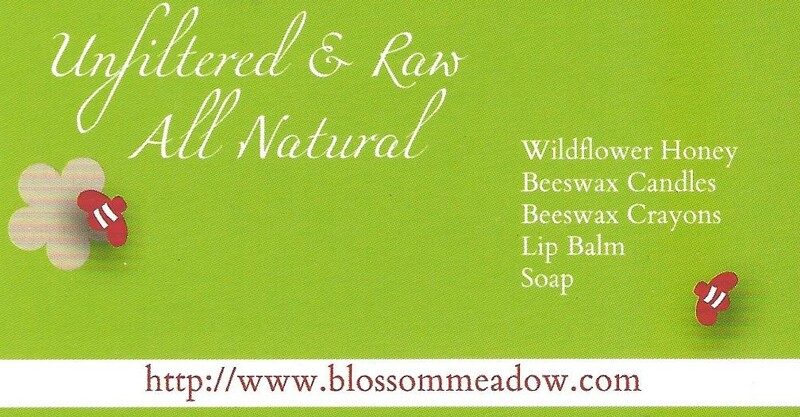 Laura also uses the wax from the honeycombs to make candles, hand care products, and crayons. Want to know more about the life of bees? Go and visit the winery at 31855 Main Road in Cutchogue, and enjoy some wine while Laura edifies you. What else besides wine and honey? You can eat honey, drink, and be merry by enjoying the Coffee Pot Cellars “Live and Local” music series. It is music time on weekends, so give the Pot a call at 631-765-8929 to find out about performers, hours, etc. You can also bring a picnic lunch and enjoy it behind the tasting room, just as we did. There are several picnic tables, and a large supply of Coffee Pot Cellars wine is a very short stroll away. Wait a sec, Laura is also doing a “Save the Monarch Butterflies” effort by selling Monarch Flower seeds. Plant some seeds, grow some flowers, feed some butterflies, and reverse the habitat destruction that is killing off those little guys. You certainly can’t be too rich, too thin, or have too many Monarch Butterflies. We will be back again to enjoy the wine and Laura’s company. Meanwhile, stay tuned, and enjoy your trip around town.